Wader Quest: Redshanks and young, Norfolk England. Redshanks and young, Norfolk England. Elis and I went to Norfolk to look at the rare Spectacled Warbler that had been found at Burnham Overy Staithe. While we were there we saw a number of the common breeding waders that frequent the marshes. There were a number of pairs of Northern Lapwings, one pair had a chick which sat down in the long grass and froze thus making itself invisible. Adult Northern Lapwing Vanellus vanellus and the disappearing chick. Eurasian Oystercatchers were as noisy as ever piping away giving away their presence. Eurasian Oystercatcher Haematopus ostralegus; in flight, Burnham Overy Staithe, Norfolk, UK. June 2014. Eurasian Oystercatcher Haematopus ostralegus. North Norfolk, UK. June 2014. There were also a few pairs of Common Redshank about. We came across this one with a chick. Common Redshank Tringa totanus; adult on sentry duty. Burnham Overy Staithe, Norfolk, UK. June 2014. Common Redshank Tringa totanus; chick belonging to adult above, Burnham Overy Staithe, Norfolk, UK. June 2014. 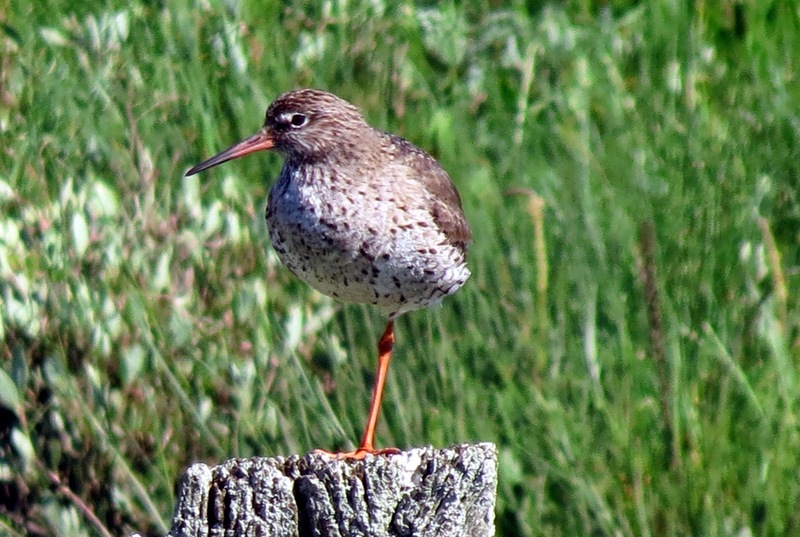 Common Redshank Tringa totanus; the second adult stays on the ground near the chick. Burnham Overy Staithe, Norfolk, UK. June 2014. When a Common Kestrel flew over several birds flew up to meet it like a squadron of fighters meeting an incoming enemy bomber aircraft. The Common Redshank squadron on their to intercept the Common Kestrel Falco tinnunculus; Burnham Overy Staithe, Norfolk, UK. June 2014. They made a real racket and followed the raptor until it was safely past their territories whereupon they dropped quietly back to the ground, Job done! 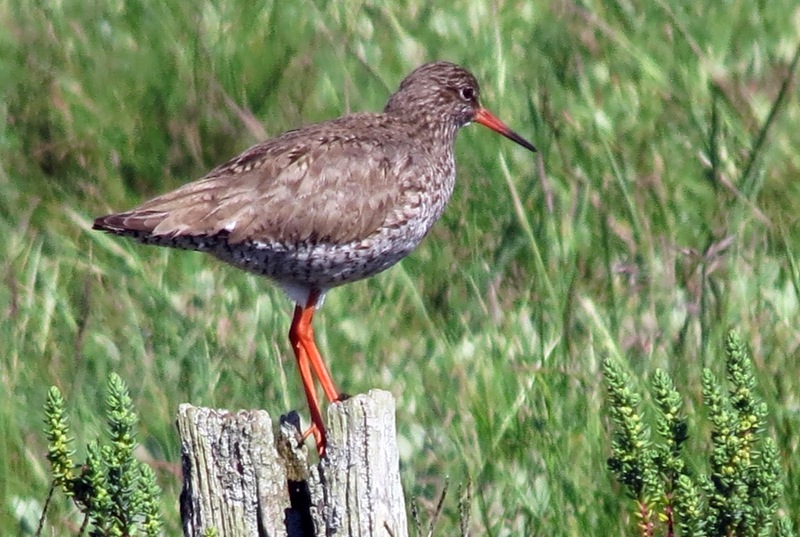 Adult summer Common Redshank; Burnham Overy Staithe, Norfolk, June 2014.